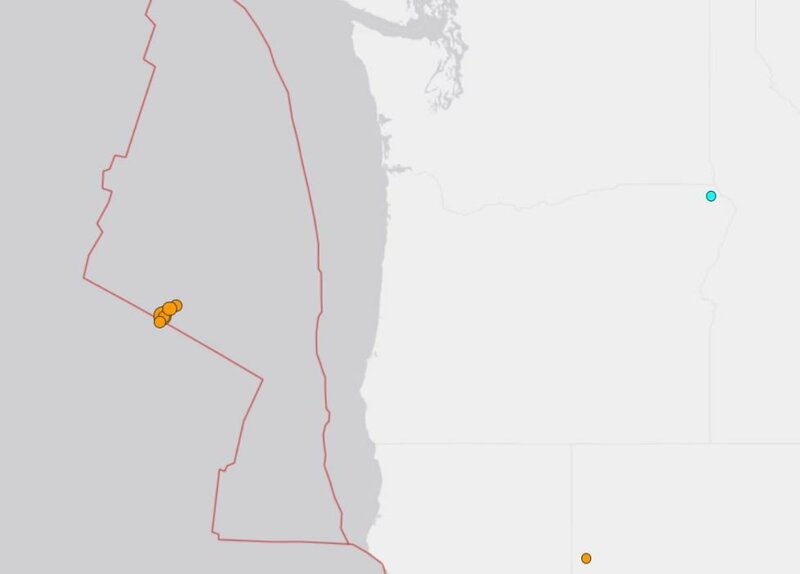 A swarm of earthquakes shook the Cascadia Subduction Zone off of the Oregon coast on Sunday morning shortly after 9:00 a.m., according to U.S. Geological Survey (USGS). The swarm marks the second in just a 5-day span giving fair warning to coastal residents that the Big One could hit anytime. M5.3 earthquake hits the Cascadia subduction zone off Oregon coast on July 29 2018. There was no tsunami alert issued, and there are only 10 reports of it being felt on land. 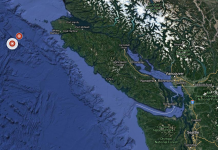 The quake was about seven miles beneath the sea floor. 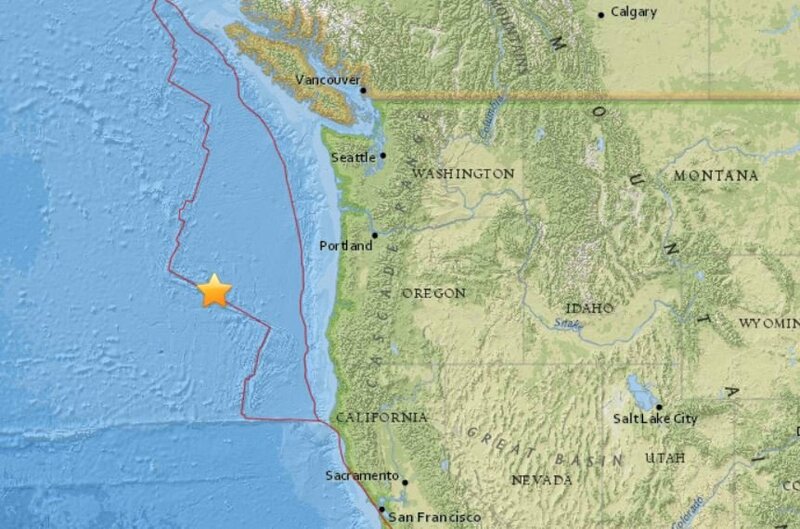 This is the second earthquake swarm off the Oregon coast, after a string of 10 quakes happened Tuesday morning. The swarm marks the second in just a 5-day span giving fair warning to coastal residents who have already been warned as early as 2015 by a Federal Emergency Management Agency (FEMA) official that “everything west of Interstate 5 will be toast” from a mega-tsunami if indeed the big one hits. Experts fear a mega-tsunami could be headed to the west coast in the near future as the fault is ‘overdue’ for the big one. Residents should remain vigilant. A string of 10 quakes happened Tuesday morning, mostly about 125 miles west of Gold Beach. 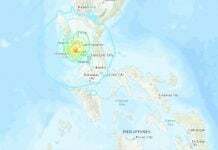 The largest was a 5.6 magnitude. 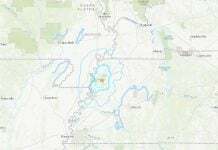 We were told for decades by the USGS that little quakes allow pressure to be relieved a little at a time, instead of all at once with one big shake. In other words my friends this article an many like it are no more than hysterical proclamations to give the impression that the USGS is working very hard. Horse manure ! So you see they can’t get us any closer to an actual date of a major quake, thus they put out these fake warnings to keep a land-locked imprisoned population in a constant hysterical and fearful state. The reason I wrote “imprisoned” is because their freeways and most roads will become parking lots in short order, so flight will be impossible. In other words, if they cannot get us closer than 100 years, then they need to just do their monitoring as they are paid to do and STFU. Because they cannot get their predictions down to a year or less we have stopped listening to them ! Greetings: We agree that the USGS is worthless as the liars at NASA, but there is more going on under Cascadia than this article suggests. Open the link and click on the image to enlarge. You are looking at a 2015 image of the deep magma plume formation in Earth mantle transition zone growing in the Pacific Ocean-Ring of Fire with formation terminal ends (Buoyancy-barrier Corridor 1 and 2) converging on Cascadia. Note the “horn” formations (red, green, etc.) atop the primary magma plume formation that rise and fall, as magma-plume-wave energy courses back and forth through the corridors. This series of 5-mag earthquake events in Cascadia are all at the 10-kilometer depth, which is part of the larger seismic pattern identified in the last three years; as this deep magma plume formation now grows OUT OF CONTROL. The primary deep magma plume formation has pushed under Hawaii and Galapagos where the mantle plume formations have made connections that have completely changed the global tectonic-volcanic dynamic. Open up my recent newsletter and check out the data in the growing 2017/2018 Seismic Chart that shows how the 2.5 to 4-magnitude earthquake event values are now above 2000 each week! That weekly-total number should be around 225 at this point in the Earth orbit cycle relative to the inbound Black Star. Right now, the primary magma plume formation that pushed from Indonesia to Hawaii and Galapagos is also pushing towards Cascadia where a massive convergence is projected to take place that BREAKS the Buoyancy Barriers leading to massive crustal displacement. The bottom line here is that everyone from NASA to the USGS is working every day to hide these facts from the Sheeple. Read the Operations Section of the Dakota Report about Project Black Star and the coming genocide keeping the Cascadia Rising Exercises and Jade Helm 15 Exercises in mind. There are no safe zones west of the Rocky Mountain Ridge and none east of the Mississippi River Basin. Survival Groups are forming in the Ozarks and along the Texas/New Mexico border if anyone here is interested in joining the USA Survival Group Program at https://www.terral03.com. Contact Terral: [email protected]. I had a dream about this quake. I live in hoopa and I dreamt that it floods out our community and natuarally dams up our valley at the gorge. All was lost it was cold out and I know this because I was wearing long sleeves didn’t have much time to react because before this dream I had no knowledge of any cascadia subduction zone. I have researched and learned more about it now. I am anxious to see when it happens most of my dream that carry this much detail with them often come true. I predict confidently that it will happen anywhere from Nov. Thru Feb. 2018-19 in the mid afternoon-evening. Thanks for listening, my family and friends think I am crazy. We’ll see…..
Hoopa is around 30 miles East of the coast. Its elevation is 328 feet high. If your community is flooded out, can you imagine what happens to those on the West coast? If you think this is going to happen soon, I would either relocate now or rent a storage facility further East at much higher elevation where you could save some of your more precious valuables and possibly go if everything is wiped out where you now live. Stock it with some food and water also. Terral accurately predicted months in advance the increased volcanic activity as the Earth approached a near-side-alignment with the Black Star and the Sun which occurred in May 2018. This is exactly what happened. Now he is saying that magma chambers or blobs are approaching Cascadia from potentially 3 different directions. These earthquakes are close to the 10 km depth which are indicative of horn formations off of the magma chambers. So the magma chambers or blobs look to be already in Cascadia. Such will cause crustal displacement which will cause tsunamis. In November there will be a far-side-alignment with the Black star that will cause further heating of the Earth’s core. This may be the trigger event for Cascadia sliding. I see this being the best mechanism of what is about to happen. If you are convinced in your dreams that this going to happen, make plans accordingly.